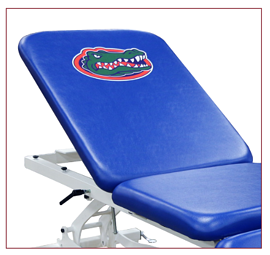 (LOGO COVER) Personalize any treatment table, treatment cabinet, or taping station with your school/organization logo. The logo slip cover is a cost effective, removable cover that slips over the lift back/tilt cushion of your table, cabinet, or taping station. Logo slip covers are also easy to replace if your school or organization update logos or colors. 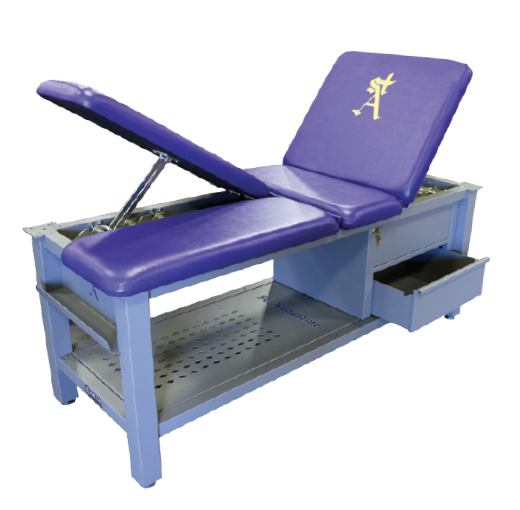 (LOGO DB) A debossed logo is available on flat or lift back treatment tables, treatment cabinets, and taping stations. During the debossing process, a metal die is pressed down into the upholstery of the cushion leaving an impression of your logo. The debossed logo is a popular branding option that creates a classic look in any space. There is a one time fee for the metal die used to deboss the logo, which can be used on future Athletic Edge equipment orders. (LOGO CP) The Color Edge Print is the newest Athletic Edge cushion branding option. The Color Edge Print logo is printed directly onto your upholstered cushion, and there are no limits on the number of colors printed in your logo. 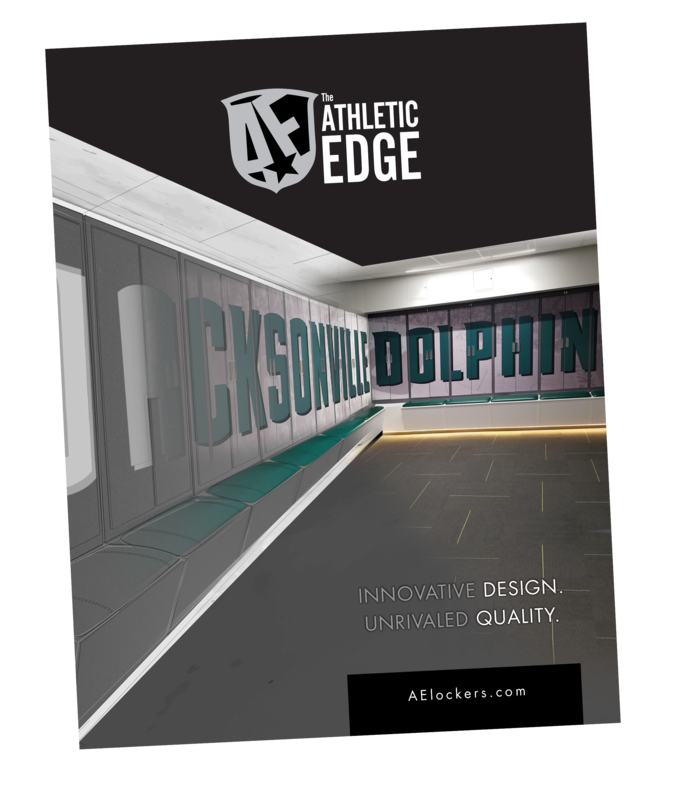 Add color and team spirit to your space by adding a Color Edge Print logo to your treatment table, treatment cabinet, or taping station.